Walton has slashed the prices of both Snapdragon powered smartphones, the Walton Primo V2 and Walton Primo VX. It just just released couple of months ago and seeing it getting a price cut might be a good choice for those who want a smartphone at an affordable price and is powered by a Snapdragon processor. 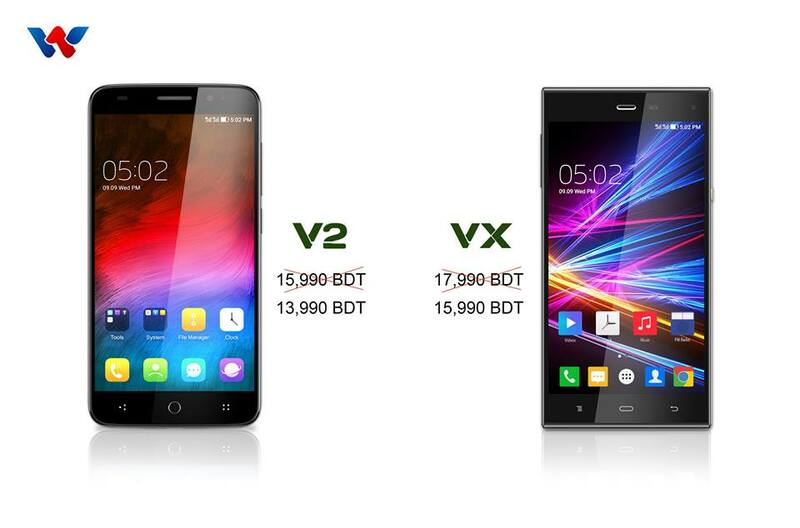 The previous price of Walton Primo V2 was TK 15,990 and is now reduced to Tk 13,990. Similarly, there’s a Tk 2000 deduction from the price of Walton Primo VX, The Primo VX used to cost Tk 17,990 whereas now it costs only Tk 15,990. So those of you who were looking forward to buying it but couldn’t due to the high price, here’s the price cut!